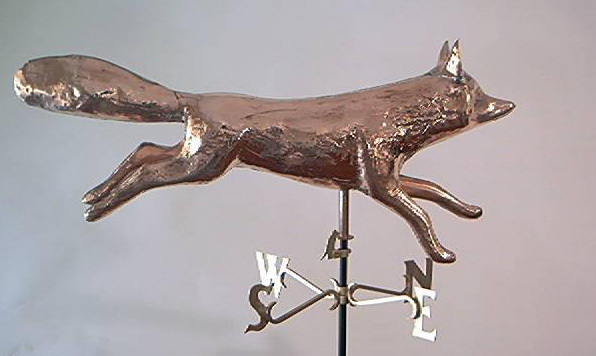 Full Body Hand Hammered copper weather vane featuring the the running Fox. This is John's "Fox" which runs approximately 32 inches above the roof line. The fox itself approaches 3 feet in length from nose to tail, and that sharp nose points into the wind smelling for new scents. Each one has been signed, numbered, and dated on the fox's left flank. The copper has not been treated and will age into a rich patina over time.